Brush cleaning is one of those jobs quite comparable to laundry in my mind. It's inevitable and eventually must get done but I dread it every time. To make the task a bit more bearable I often apply a face mask and put on a catchy song. I wrote an entirely too long blog post on brush cleaning a while back which covers why brush cleaning is important, how often to do it and how to choose a good cleanser. Go and read that here for all of those details if you'd like. Another must read is my most used makeup brushes post. In it, I share my top picks of my brush collection most of which aren't too pricey. On my wish list for months have been some Sigma brushes, I hope that happens some time soon! 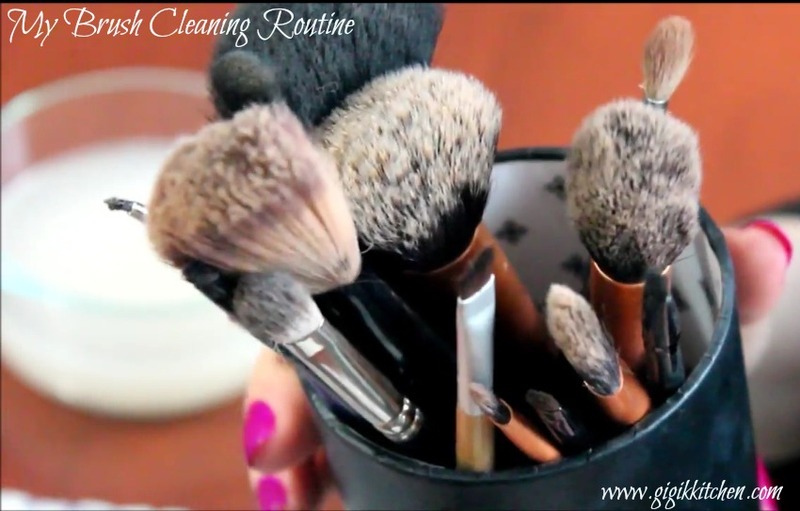 Today's post goes along with this weeks video where I show the steps I take to deep clean and spot treat my brushes. For the best clean I love my Japonesque Proffessional Brush Cleaner and good old Johnsons Detangling Baby Shampoo. I have found both to really get into the bristles and give my tools a great scrub. 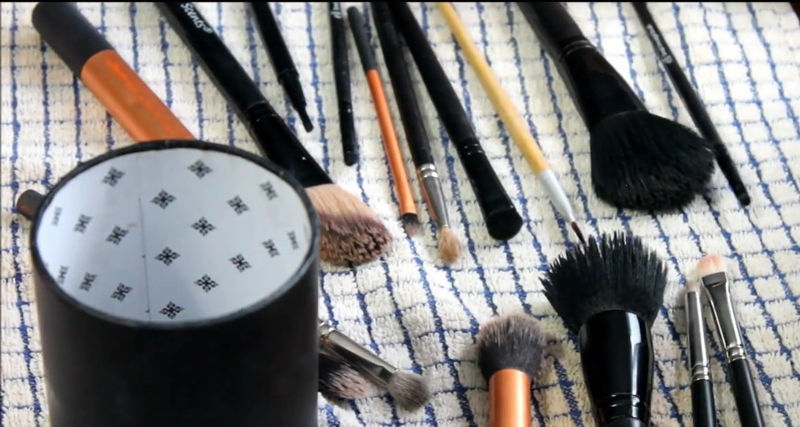 Don't forget to lay your brushes down flat when they are drying to avoid allowing the water to go into the ferrule which will often unglue your handles from the bristles. Another great find was the pencil holder shown in the photo above which I'm pretty sure I got for a couple bucks from Wal Mart a year or so ago. It makes the perfect brush holder in size and shape.